Skinbreeze facials came top in a recent clinical trial of luxury beauty treatments and was seen to improve skin texture by nearly four times in just one treatment.The beauty trial analysed a number of luxury beauty products and a budget skin-cream on women in their 30s and 40s and Skinbreeze came out on top for improvements to spots, wrinkles, texture, pores and pigmentation with a phenomenal 165% increase across all of the criteria. Testing was performed by the lastest VISIA skin analysis machine which gives a percentage score for skin health – the higher the score the better the skin quality. Click the picture above to see the scores for Spots, Wrinkles, Texture and Pores (left to right top row) and UV Spots, Brown Spots, Red Areas, and Porphyrins (bacteria that cause spots), left to right on bottom row. The tests were calibrated to the age of the women, and were performed at the beginning of the trial and after a month to see what improvements there had been. Laura, a 41-year-old stylist from London, who runs the LikeYourStyleToday blog was the test subject for the Skinbreeze and she saw massive improvements to her skin. There were huge improvements to the texture of her skin and reduction in pigmentation, and there were significant gains in reduction of pores, spots and wrinkles. 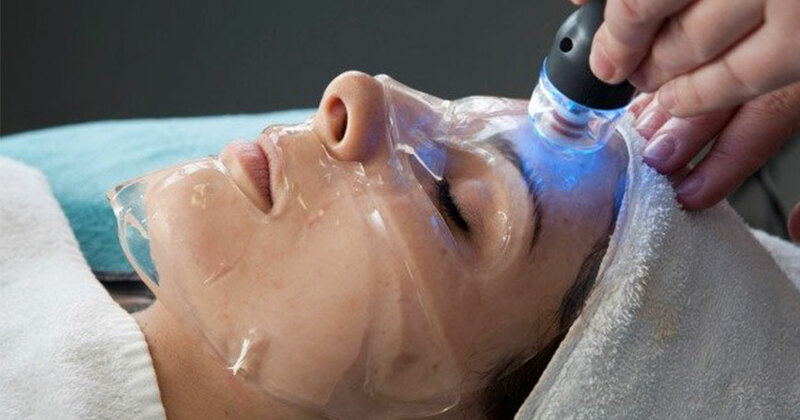 Laura had just one 60-minute Skinbreeze facial treatment – the treatment includes micro-dermabrasion and LED light therapy, an oxygen infusion of anti-ageing serums, followed by a hydrating hyaluronic acid mask and lymph drainage massage. In relation to the budget skincare product Skinbreeze was seen to be over seven times better for skin texture and four times better for reduction pigmentation problems.